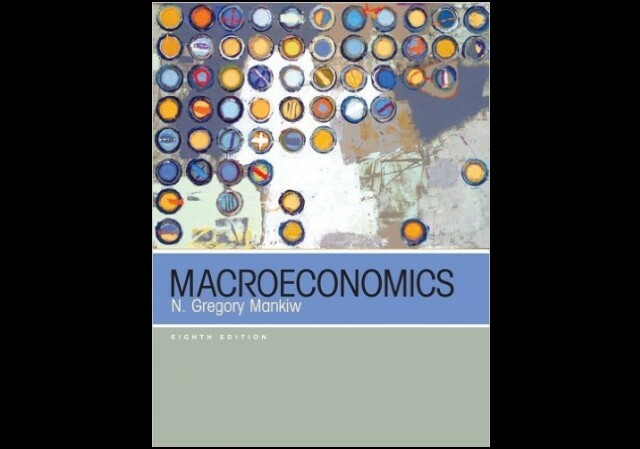 Macroeconomics 8th Edition by N. Gregory Mankiw maintains its authority, currency, and vitality edition after edition, and the new Eighth Edition is the most accomplished yet. Again, Mankiw provides an exceptionally clear and concise introduction to the macroeconomy, taking full account of the 2007-2009 financial crisis and the measures taken in response to it. In addition to a new chapter directly inspired by the crisis (Chapter 20, The Financial System: Opportunities and Dangers) the new edition also features new research, discussions, and case studies throughout, as well as the most extensive media/supplements package available for any intermediate macroeconomics. While I agree with other reviewers about Mankiw's tendency to put out new versions too often, I really like his books! I am almost done with double bachelor degrees, one in economics and the other in agricultural business at Montana State University so I've seen my fair share of econ textbooks. I have to say that Mankiw is my favorite, his books are so well written for understanding concepts. When I think about how textbooks are supposed to be, I think of Mankiw's books. They are supposed to be a valuable resource to supplement lecture and even "teach" concepts...gasp! Something about how he presents concepts helps to bring a new layer of understanding, even if I've worked with the material before. I love this text book because it is so current and to-the-point. The most recent edition is worth it. The chapters contain great examples and are thorough but short enough where you can actually read it all. I especially like the summary and quick review questions at the end.